Foreign Minister Sushma Swaraj's explanation of the reasons that did not lead India to support the Paris Climate Accord is seen as a polite, oblique but very public rejoinder to US President Donald Trump who pulled out of the international pact, alleging that New Delhi was in it for the "billions and billions and billions and billions of dollars" that it will get in foreign aid. NEW YORK: Reiterating India's commitment to the Paris Climate Accord, Foreign Minister Sushma Swaraj on Saturday said India's unflinching backing for the climate change pact was an outcome of a philosophy that was at least 5,000 years old. "This is not because we are afraid of any power, influenced by friend or foe, or tempted by some imagined greed," she declared in a speech to scores of world leaders at the United Nations General Assembly. Ms Swaraj's elaboration of the reasons is seen as a polite, oblique but very public rejoinder to US President Donald Trump who pulled out of the international pact, alleging that it gave some of the world's highly polluting countries such as India "a better deal". India, President Trump had complained in June, "makes its participation contingent on receiving billions and billions and billions and billions of dollars in foreign aid". In the past, President Trump has also called climate change a "hoax". 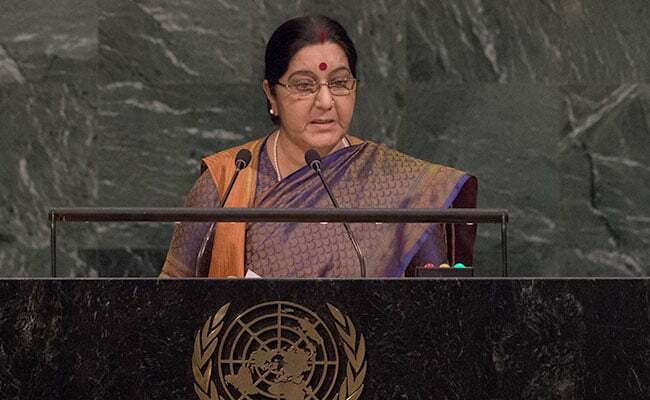 Sushma Swaraj said climate change was "one of the significant dangers to our existence" that requires more "serious action than talk" and asked developed countries to help out "less fortunate" countries. 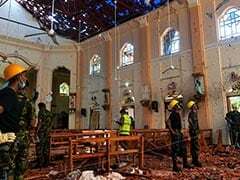 She said that it was not just mere coincidence that the world has witnessed hurricanes, earthquakes, rains that inundate, storms which terrify. "Nature sent its warning to the world even before the world's leadership gathered in New York at the United Nations through (Hurricane) Harvey," she said, adding that once the gathering of world leaders at the UNGA began, an earthquake struck Mexico and a hurricane landed in Dominica. "We must understand, this requires more serious action than talk. The developed world must listen more carefully than others, because it has more capacities than others. "It must help the less fortunate through technology transfer and Green Climate Financing - that is the only way to save future generations," Ms Swaraj said. Also speaking at the same meeting earlier this week, British Prime Minister Theresa May had criticised world leaders who are "deliberately flouting" international rules and counted the US on a list of states that turned their backs on "global cooperation".